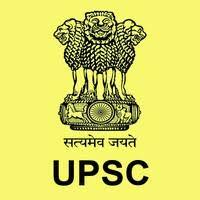 UPSC CMS 2019 – Union Public Sevice Commission invites application for 965 vacancies for Combined Medical Services Examination. The detailed eligibility and application process are given below. Educational Qualification: Candidate should have passed the written and practical parts of the final M.B.B.S. Examination. Note: A candidate who has appeared or has yet to appear at the final M.B.B.S. Examination may also apply. The selection process will be based on Written Examination, Physical and Medical Standards Tests and Physical Efficiency Test (PET) and Interview/ Personality Test. The candidates will take the Computer based examination in two Papers, each Paper carrying a maximum of 250 marks. Each Paper will be of two hours duration. Both the Papers of the CMSE will be of MBBS standard. Personality Test: The Interview for Personality Test will be intended to serve as a supplement to the computer based examination for testing the General Knowledge and ability of the candidates in the fields of their academic study and also in the nature of a personality test to assess the candidate’s intellectual curiosity, critical powers of assimilation, balance of judgement and alertness of mind, ability for social cohesion, integrity of character, initiative and capability for leadership. Online Mode – Internet Banking Payment/Visa/Master/RuPay Credit/Debit Card. How to apply UPSC Recruitment 2019? Interested and Eligible candidates apply for this position in online latest by 6 May 2019.